How do I take Sativex? Sativex (nabiximols) is the first cannabis-based medicine to be licensed in the UK. The drug can prescribed for the treatment of MS-related spasticity when a person has shown inadequate response to other symptomatic treatments or found their side effects intolerable. Sativex can be used in addition to a person's current anti-spasticity medication. Prior to gaining a licence for use in MS-related spasticity, Sativex had been studied for its effects on a number of MS related symptoms including: spasticity and spasms, pain, bladder symptoms, tremor, and sleep disturbance. Sativex is a mouth (oromucosal) spray containing two chemical extracts derived from the cannabis plant: delta-9 tetrahydrocannabinol (THC) and cannabidiol (CBD). The number of sprays is gradually increased each day until the optimum dose is reached. This can take a few days or up to two weeks. The number of sprays needed varies between different people. The idea is to find the right number of sprays for you, which gives you good relief from your muscle stiffness but with the fewest side effects. Common side effects include dizziness, drowsiness, constipation or diarrhoea, fatigue, memory or concentration problems, and a dry mouth or changed sense of taste. These side effects are more likely when you first start treatment and usually wear off within a few days. Speak to a health professional if you experience side effects as there may be steps you can take to minimise them. Sativex is not recommended for pregnant women and people under 18 years old. People with a history of psychotic problems should not take the drug. Sativex may impair the mental and/or physical abilities required for certain potentially hazardous activities such as driving a car or operating machinery. Driving or using machinery when you first start taking Sativex is not recommended until you are established on a stable daily dose. If you experience any significant side effects once you've established a stable dose, you should not drive, operate machinery or take part in any activity that could prove hazardous. If you are concerned about the rules around drug driving for people taking prescription medications like Sativex, speak to your health professional. There is also information on the GOV.UK website. A study in 2018 looked at the effects of Sativex on driving ability in people with MS. It found that, if side effects such as dizziness and drowsiness were not experienced, Sativex did not impair driving. They found no evidence of an increase in motor vehicle accidents associated with taking Sativex. The majority of people in the study reported improvement in driving ability; this was thought to be because of reduced spasticity. As Sativex is cannabis-based, it is a controlled drug. Controlled drugs are given a Class (A, B or C) which reflects their potential for harm and the legal implications for inappropriate supply and possession. They are also given a Schedule which indicates how it can be prescribed and stored. Sativex is a Class B controlled drug under the Misuse of Drugs Act 1971 and is placed in Schedule 4 to the Misuse of Drug Regulations 2001. As Sativex is placed in the less-restrictive Schedule 4, this means that it can be prescribed legally in the UK with no restrictions on supply, recording, storage or destruction. ​It can only be prescribed by a specialist doctor with experience of treating MS spasticity – consultant neurologists, consultant rehabilitation specialists and consultant pain specialists. Use of Sativex is currently limited to those people who respond to the first four weeks of treatment. If there is no clear improvement in spasticity-related symptoms, treatment is stopped. Despite doctors being able to prescribe Sativex legally in the UK, access to the drug on the NHS remains very limited. This is because Sativex is not considered a cost effective treatment for the NHS in England, Scotland or Northern Ireland. Recent changes to the law on medicinal cannabis are unlikely to affect this. In Wales, however, Sativex can be prescribed on the NHS for moderate to severe spasticity in people with MS who haven't responded to other anti-spasticity medication, although we understand availability is still limited. NICE, the organisation that decides whether drug treatments can be made available on the NHS in England, did not recommend Sativex their 2014 MS Guideline. However in a proposed update of this Guideline in 2018, NICE states that there is new evidence “which indicates that [Sativex] may be cost effective”. If this is the case, and the Guideline is updated to reflect this, it would become more widely available on the NHS in England. NICE has not set a date indicating when the updated MS Guideline will be published. Limited access to Sativex on the NHS means that some people decide to obtain a private prescription and pay for the cost of the drug themselves. This can be an expensive option and it’s therefore not feasible for everyone. An alternative would be to speak to your neurologist about an individual funding request. These can be submitted by health professionals for treatments that are not routinely offered on the NHS. 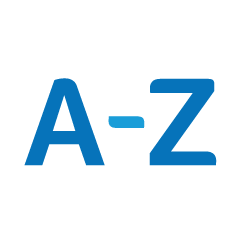 You can read more about individual funding requests on our A to Z page. Clinical trials have shown that Sativex is an effective treatment for MS spasticity. Since being licensed, a number of studies have been published more recently that analyse real-world data on Sativex. Studies have also investigated its potential to treat other symptoms. One study collected real-world data from 30 MS centres in Italy and included 1,597 people with MS who had started treatment with Sativex for spasticity. The focus of the study was to look at how many people stopped taking Sativex and why. Researchers found that around 4 in 10 people stopped treatment either because it wasn’t effective (2.3 in 10) or because of side effects (1.6 in 10). The most common side effects were cognitive and psychiatric effects – including memory, cognition and attention problems, and pain attacks, hallucinations and depression – fatigue and drowsiness. This suggests that, although Sativex may help with MS spasticity for some people, it may not be effective or suitable for everyone. Another paper analysed data from a registry which was set up following the approval of Sativex in the UK, Germany and Switzerland. Doctors that were prescribing Sativex were able to record data in the registry. It contains data from 941 people who were prescribed Sativex. The data shows that approximately 8 in 10 people benefitted from treatment, 6 in 10 continued treatment and approximately 3 in 10 people stopped treatment because of lack of effectiveness or side effects. The most common side effects were dizziness and fatigue, and people were more likely to experience these during the first month of treatment. Studies looking at the effectiveness of Sativex in treating neuropathic pain have been mixed. There’s currently with not enough high quality evidence proving that it’s effective in pain management. Cannabis is a naturally occurring drug made from parts of the cannabis plant. From 1 November, medicinal cannabis can be prescribed by specialist doctors. We look at what is meant by medicinal cannabis, how legislation is changing and what this means for people with MS.
Spasticity is a symptom of MS where the muscles feel stiff, heavy and difficult to move. A spasm is a sudden stiffening of a muscle.